The new NYJO Regional Academy for Cumbria launched in February 2019, run in partnership with National Youth Jazz Orchestra. What is a NYJO Regional Academy? The National Youth Jazz Orchestra wants to ‘level the playing field for jazz education’ so that young musicians from across the UK have equal opportunities to develop their talents. They have been running a Saturday school in London, the NYJO Academy, for decades and musicians who attend often go on to become professional musicians or study jazz at HE level. Whilst that’s great, we don’t think it’s fair that students in London & SE have an unfair advantage over those in other areas. So, the Regional Academies were born. NYJO are teaming up with Music Education Hubs to develop locally-run, nationally-supported regular jazz education activity that teaches young people the balance of skills that every jazz musicians needs – reading, improvisation, aural & ensemble skills. As well as working directly with the young musicians, we offer professional development for local music leaders and bring everyone together annually to share the great music making happening across the country. And Cumbria are one of the first Music Hubs to get involved. 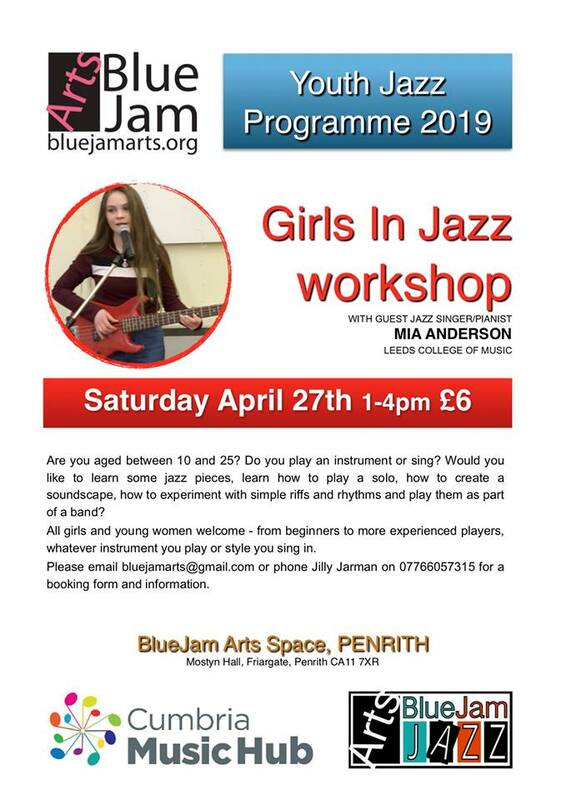 We have a a Saturday session each half term, run by a NYJO leader and 2-3 ambassadors, which will focus on improvising, performance and jazz skills. The first concert in March gives an opportunity to perform together with the Lancashire NYJO Academy and the ambassadors, and the full NYJO band will come up from London to perform. There will be further collaborative performances with other NYJO academies later in the year. 23 March: North Lakes School. The National Youth Jazz Orchestra (NYJO) is a registered charity, and the UK’s pre-eminent provider of jazz education. Its flag ship jazz orchestra is a glittering showcase for the UK’s finest young professional jazz musicians, combining a hard-swinging rhythm section and a raft of hugely talented soloists. NYJO has helped launch the careers of many of the country’s most renowned jazz musicians including Guy Barker, Amy Winehouse, Mark Nightingale and Laura Jurd; as well as the leader of the Strictly Come Dancing band Dave Arch, and most of his band members; plus music supervisor for the London Olympics and Paralympics Martin Koch. Performing around 40 concerts a year both nationally and internationally, recent highlights for the band have included a yearly residency at Ronnie Scott’s Jazz Club, major European tours with the German (BuJazzO) and Dutch (NJJO) youth jazz orchestras, and a televised performance at the BBC Proms. NYJO celebrated its 50th anniversary in 2015 and released a critically-acclaimed double-album ‘NYJO FIFTY’.